Another week goes by and it just so happens to be the first week in my new home! I know there have been a scattering of mentions in regards to this as I was pretty excited when I received the news. I’m still settling in at the moment. My house mate Brent commented on my first day that I’m a bit like a puppy, breaking in a new home. I was wandering about with a stupid grin on my face, looking for where things live and trying to comprehend this strange new world. More about the new place shortly, what I want to cover today is how I got here. My story begins as soon as I’d made it to Melbourne. 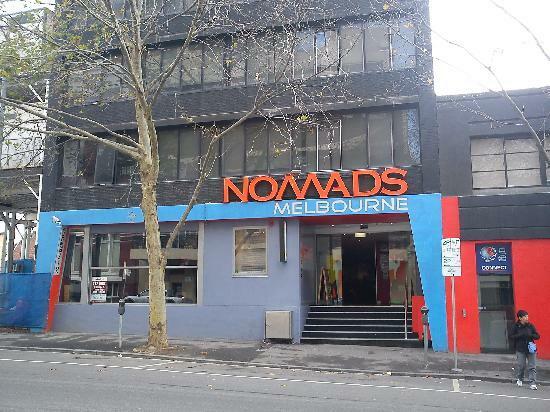 Eventually checking in to Nomads hostel which would be my home for the first few weeks in Australia. I love hostels and I would recommend them to anyone but they are no place to live. Once work had started I became particularly unsatisfied with my living conditions. It was difficult to get a good night of sleep and eat anything that resembled a balanced and healthy meal. 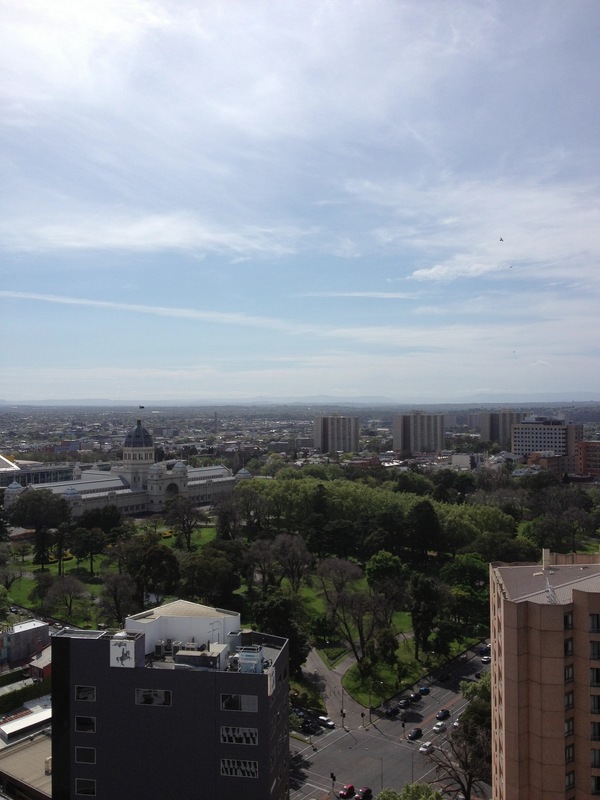 Then came the AFL Grand Final and the prices of hostels across the city sky rocketed for the weekend. Once I’d heard the prices I was going for the put up and shut up approach but then in stepped my current local heroes: Sarah and Matt. I’d initially hoped to only be with them for a weekend but eventually allowed them to talk me into staying until I found a place to live. Life improved dramatically. I had a kitchen I could use and a quieter, more comfortable place to lay my head at night. Safe to say, I had one of the best nights sleep my first night there. It was actually an incredible amount of fun living with the guys, I took a lot of pleasure in encouraging them to eat vegetarian food, both meat lovers they tried and are still trying to talk me back on to eating meat. Sarah even got me in the gym twice! That twice more than I’ve been in a gym since leaving school. You might have seen a photo elsewhere, but they have quite an impressive view from their balcony. I was a little bit sad to leave them, but super excited upon receiving a “how would you like to be our new house mate” text from Brent. After a week and a half, I’d packed up my things and moved across the city. It was very surreal to have a place to call home in another country. Despite having intentions to live abroad for over a year, I couldn’t quite get my head around the fact that I’d actually gone and done it. In just over a month I’d sorted a job and a home. I’m pretty sure it would take me longer than that in Britain. 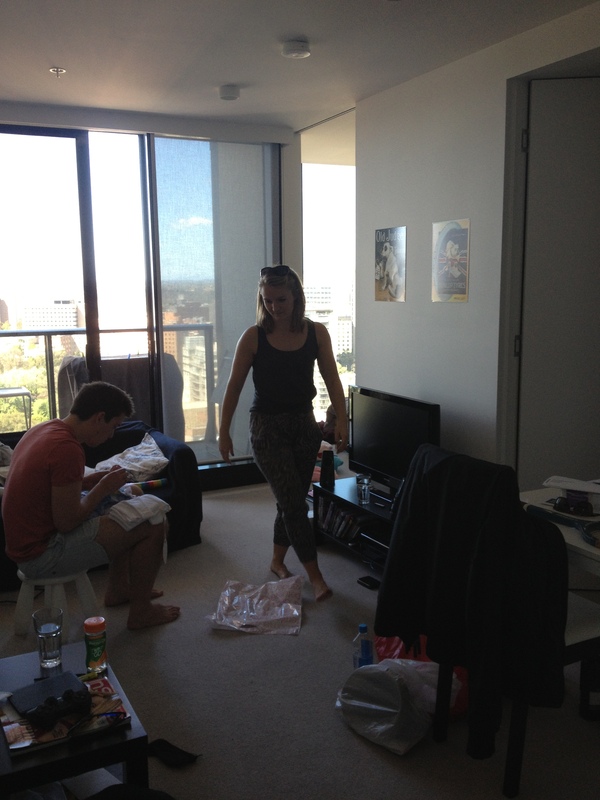 Anyway, I’m now living between Southbank and South Melbourne in a lovely housing complex. I’ve got a room to myself, double bed included. A good sized kitchen and bathroom and an excess of living space. 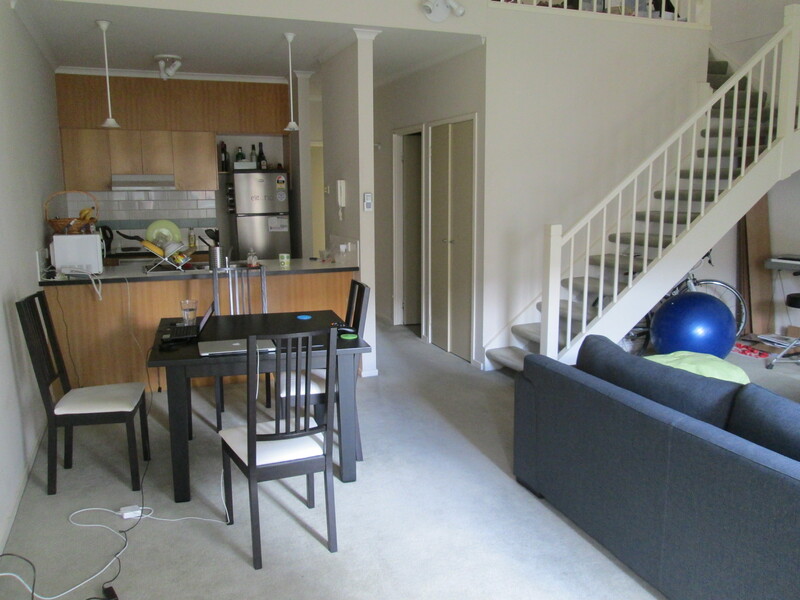 I got super lucky here and have two cool house mates, Brent and Elena. I’m looking forward to getting to know both them and the area I live in better over the coming months. Now for some helpful hints and tips if you find yourself looking for a place to call home in Australia. It isn’t all that different from looking for a job, there are plenty of resources available. Everyone talks about gumtree as the number one place to look for a flat but I personally believe there are better options. I had the most success on Flatmates and other hotly tipped sights include Flatmate Finders and Easy Room Mate. All three sites work in essentially the same way, you create a profile and then you can send and receive messages from potential flat mates and arrange to see the place, meet up or whatever. I actually only ended up making three viewings. I found myself chatting with a guy on the tram home from work one night who told me he was looking for a new flat mate and keen to get out of the hostel I agreed to head over at the weekend to check it out. Unfortunately, I had no idea where I was going and ended up quite some way out of the city. It was a nice place but simply too far away and I left not long after arriving. My other viewing was for a gorgeous flat in Brunswick but I never heard back. Somehow I managed to come across as the best choice for Brent and Eleanor and here I am, sitting at my dining table in our home. Over the next week I hope to make my room a bit more personal and add my own touches to the spice cupboard and condiment shelves. It’s time for me to start really living!